Why the NRDC’s Montana “Wolf Stamp” Must Be Stopped Would Michael Brown be alive if he had been stealing public grass? BOZEMAN, Mont. — The U.S. Fish and Wildlife Service’s decision today to abandon proposed protections for the wolverine ignores the best available science, including advice from the Service’s own wildlife experts, conservation groups stated. In response to the decision, a coalition of 9 groups will file notice of intention to sue the Service for refusal to protect the species under the Endangered Species Act. The Service’s decision comes after Fish and Wildlife Service Regional Director Noreen Walsh’s determination on May 30, 2014 to overrule the agency’s own wildlife biologists and recommend reversing course on listing the wolverine as a threatened species in the lower-48 states. The Service in February 2013 proposed to list the wolverine under the Endangered Species Act, but state wildlife officials in the Northern Rockies region opposed the proposed listing. No more than 300 wolverines remain in the contiguous United States, according to the Service. The groups challenging the Service’s determination pointed out that the agency disregarded well established scientific evidence, including the recommendations of FWS’s own scientists, in speculating that the wolverine might be capable of withstanding the projected loss of 63 percent of its snowy habitat in the lower-48 by the year 2085. After reviewing the Service’s negative listing determination, Earthjustice will submit to the Service a 60-day Notice of Intent to Sue to challenge the Service’s decision unless the Service takes action to protect the wolverine as the Endangered Species Act requires. The groups signing on to the letter are the Center for Biological Diversity, Conservation Northwest, Defenders of Wildlife, Friends of the Clearwater, Greater Yellowstone Coalition, Idaho Conservation League, Jackson Hole Conservation Alliance, Klamath-Siskiyou Wildlands Center, and Rocky Mountain Wild. BACKGROUND: The wolverine, the largest land-dwelling member of the weasel family, once roamed across the northern tier of the U.S. and as far south as New Mexico in the Rockies and southern California in the Sierra Nevada range. After more than a century of trapping and habitat loss, wolverines in the lower 48 have been reduced to small, fragmented populations in Idaho, Montana, Washington, Wyoming and northeast Oregon. With no more than 300 wolverines remaining in these regions, the species is at direct risk from climate change because wolverines depend on areas that maintain deep snow through late spring. That is when pregnant females dig their dens into the snowpack to birth and raise their young. Snowpack is already in decline in the western mountains, a trend that is predicted to worsen. Wolverine populations also are threatened by trapping, human disturbance, extremely low population numbers resulting in low genetic diversity, and fragmentation of their habitat. The groups challenging the Service’s determination pointed out that the agency disregarded well established scientific evidence, including the recommendations of FWS’s own scientists, in speculating that the wolverine might be capable of withstanding the projected loss of 63 percent of its snowy habitat in the lower-48 by the year 2085. Contrary to the Service’s speculation, every one of the 562 verified wolverine den sites in North America and Scandinavia occurred in snow and 95 percent of worldwide summer wolverine observations and 89 percent of year-round wolverine observations fell within areas characterized by persistent spring snowpack. Elimination of this snowy habitat due to warming temperatures presents a direct threat to the wolverine’s survival—a danger compounded by the increasing isolation and fragmentation of wolverine habitats that threatens remaining populations with localized extinctions and inbreeding. The head of F&W said we would have to learn to live without some endangered species. The Sage Grouse are coming home to roost! Yes, and I thought when the President and the Secretary of the Interior said we were going to have to make hard choices and sacrifices, I thought they meant turning down the thermostat a couple of degrees, and everybody having to buy a Pruis! Now who exactly would be pressuring the US F&W Service to delist?? More and more,it is apparent the US F&W Service is becoming sloppy and derelict in their duties. I hate this decision, but it’s tactical. It’s pretty obvious they’re waiting out a hostile congress that may strike up a rider to remove the wolverine forever from consideration. I’m not so sure about that Mike. Is it even possible to remove an animal from all future considerations to ESA? USFWL has been making some wonky decisions lately. They did when they reviewed ‘best available science’ on wolves when USFWL pulled out an old agency study as the only science to review. Now this decision on wolverines. Since they have the decision linked to climate change, I’ve wondered if that is part of the reason for resisting serious consideration to list, or if it is simply political pressure. A huffpost article quoted someone from Montana as saying MT will now consider limited trapping of wolverines. There are only about 300 left. And they want to consider limited trapping? This is one more poor decision from USFWL. Tie them up in court until they actually mean it when they say ‘use best available science’. Under Ashe, I think USFWS is full of bull malarchy when it comes to listing under ESA. We have squat for elevation but Superior makes it snow like crazy in parts of upper Michigan, so I’ve always wanted to try re-introduction there. I’m not so optimistic though, since I hope my DNR chewed that fat to tiny bits already. Migration through Minnesota might be hard – not enough lake effect snow. Also, the super deep snow parts here have hardly any deer for obvious reasons, so food is a problem – no caribou and just a few moose. Louise I do not believe that trapping was part of the consideration to list or not to list. Yes, it was occurring until recently in MT, and yes, that was having a negative effect on the population, but because it was the only state in the country doing it, I don’t think it was considered. Are they afraid wolverines will eat up all the elk and deer like the wolves were going to do? F&W Service Director, Dan Ashe has lost any interest he ever had is seeing rare species recover and thrive…Dan Ashe has spawned the on-going slaughter of wolves and he is pressing for the same for grizzly bears…And now, Dan Ashe has put the wolverine in his cross-hairs as “marked for extinction”. Because Dan Ashe has no interest in wildlife conservation, he should RETIRE and let someone who actually in interested in wildlife conservation over political economic interests take his place. At what point are the major conservation groups going to come out publicly for the removal of Dan Ashe as Director of the U.S. Fish & Wildlife Service?? That time is now. Sine when did Dan have any interest in species recovery? Only now do i notice that in that comment I said “since” instead of “sine”. Sometimes i’m not careful enough when i’m typing…. Huh……hearing the same kind of comments when it comes to Sally Jewel. If they ever really cared in the first place, and what’s written about them probably is nothing more than PR and political spin. In fact, I remember thinking how ironic it was when Greenpeace started using gasoline-powered boats to block oil tankers, or when people drove to protests against oil drilling, or when people who built wood houses and read books said no one should ever cut down trees. How many times have we heard this type of false dilemma, for cyring out loud. If what civilization is built on, and no one says it’s all-or-nothing, that people can’t conserve, or want to change the status quo. This is the link to the USFWS memo that includes the rationale on why listing the wolverine is not warranted. Its only 18 pages and fairly easy to read to the layperson. I’m not an attorney but it would seem reasonable to think the plaintiffs will have to show irrefutable evidence as to why their conclusion is wrong. With no more than 300 left, can we afford to be wrong? ‘One’ seen in the Uintas I don’t think is enough to be considered recovered. It’s shocking to me that they won’t even list them as threatened. Dan ‘There’s Plenty in Canada” Ashe certainly is a disappointment. It’s sad to see the nation as a whole moving away from environmental protections and concerns about wildlife, not to mention this environmentally unconcerned administration. 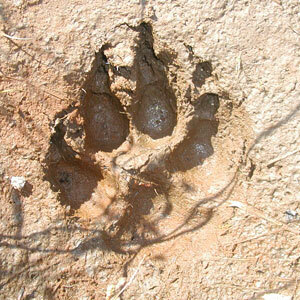 It looks like with the latest news, Montana is considering reopening trapping for wolverine – totally senseless.